This is the large muscle on the front of the arm above the elbow that allows elbow supination, rotation of the elbow. Ulnar Artery: The ulnar artery travels next to the ulnar nerve through Guyon's canal in the wrist. It supplies blood flow to the front of the hand, fingers and thumb. 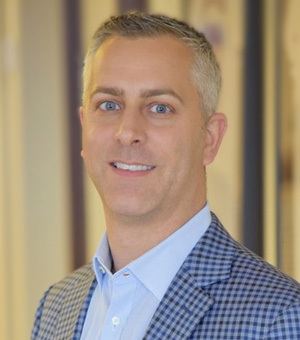 If conservative treatment options fail to resolve the condition and symptoms persist for 6 -12 months, your surgeon may recommend a surgical procedure to treat tennis elbow called lateral epicondyle release surgery. Your surgeon will decide whether to perform your surgery in the traditional open manner (single large incision) or endoscopically (2 to 3 tiny incisions and the use of an endoscope -narrow lighted tube with a camera). Your surgeon will decide which options are best for you depending on your specific circumstances. Golfer's elbow and Tennis Elbow are similar except that Golfer's elbow occurs on the inside of the elbow and Tennis Elbow occurs on the outside of the elbow. 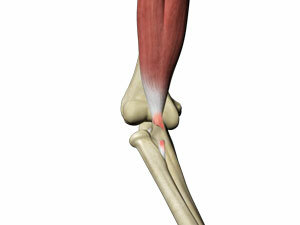 Both conditions are a type of Tendonitis which literally means "inflammation of the tendonitis". The most common symptom is a sudden, severe pain in the upper arm or at the elbow. You may feel a "pop" at the elbow when the tendon tears. Other symptoms include swelling, visible bruising, weakness in the elbow, trouble turning your arm from a palm up to a palm down position, and a gap in the front of the elbow caused by absence of the tendon. A bulge may also appear in your arm caused by the recoiled, shortened biceps muscle. 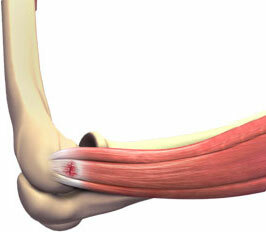 Distal biceps tendon rupture is usually diagnosed based on your symptoms, medical history, and physical examination. During the physical examination, your doctor will look for a gap in the tendon by palpating the front part of your elbow. Your doctor will diagnose a partial tear by asking you to bend your arm and tighten the biceps muscle. You may have pain if there is a partial tear. X-rays may be taken to rule out other conditions causing elbow pain. Using an MRI scan your doctor can know whether tear is partial or complete. 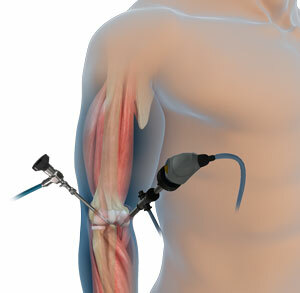 After the repair is complete, a hinged elbow brace will be applied with your elbow bent at 90 degrees. The brace will be removed after 6 weeks and it may take up to 6months -1 year to regain full strength. Ulnar collateral ligament (UCL) Reconstruction surgery involves replacing a torn ulnar collateral ligament with a tendon from elsewhere in the body. It is also referred to as Tommy John Surgery. The UCL, also called medial collateral ligament, is located on the inside of the elbow and connects the ulna bone to the humerus bone. It is one of the main stabilizing ligaments in the elbow especially with overhead activities such as throwing and pitching. When this ligament is injured, it can end a professional athlete's career unless surgery is performed. Ulnar collateral ligament injury is usually caused by repetitive overhead throwing such as in baseball. The stress of repeated throwing on the elbow causes microscopic tissue tears and inflammation. With continued repetition, eventually the UCL can tear preventing the athlete from throwing with significant speed. If untreated, it can end an athlete's professional career. UCL injury may also be caused by direct trauma such as with a fall, car accident, or work injury. Other causes include any activity that requires repetitive overhead motion of the arm such as tennis, pitching sports, fencing, and painting. Other tests such as X-rays and MRI scans may be ordered to confirm the diagnosis. Your physician will recommend conservative treatment options to treat the symptoms associated with UCL injury unless you are a professional or collegiate athlete. In these cases, if the patient wants to continue in their sport, surgical reconstruction is performed. Finally, a splint is applied with the elbow flexed at 90 degrees. As with any major surgery there are potential risks involved. NSAIDs (Non-Steroidal Anti-Inflammatory Drugs) such as ibuprofen or aspirin, may be ordered to reduce swelling.